Arpera presents exclusive 2 in 1 combo set. This leather clutch combo is an ideal option for gifting women for special occasions . 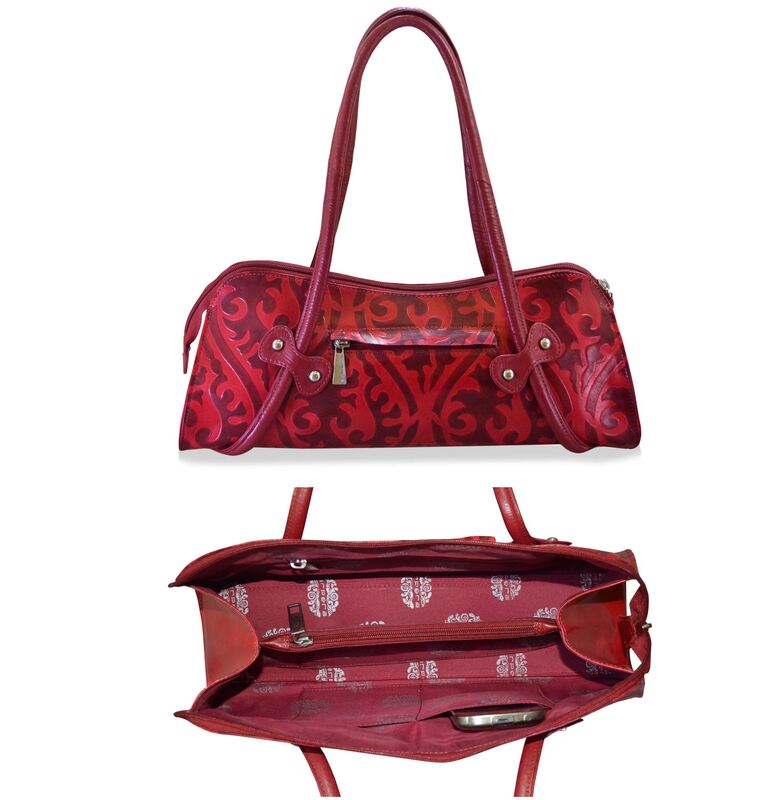 Carry this stylish red handbag by arpera and make heads turn. Made of genuine leather this is a perfect pick for a day out with your girlfriends or a romantic date. This stylish Handbag is Medium sized which is ideally suited for shoulder carry. Handcrafted from Terracota Genuine Leather. The handbag has 1 main compartment/s. 1 Chain Compartment/s at the back. Top mouth closes by a zipper.The lining consists of 1 main Compartment/s. 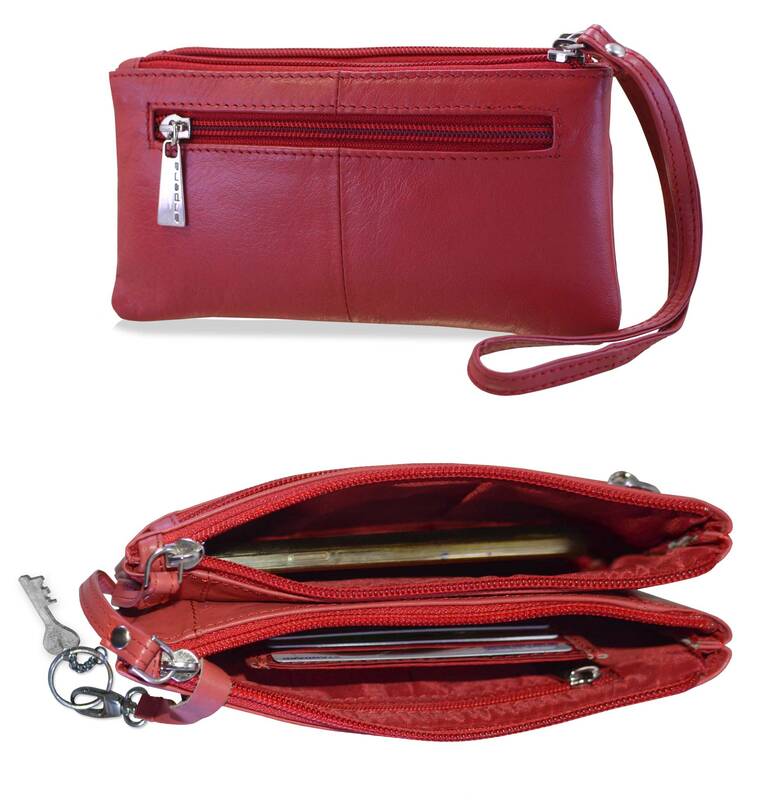 Also included is a back wall lining zipper compartment.Slip in compartment for mobile. Crafted in soft napa leather, this compact piece is a chic way to carry your phone and other essentials.Comes with a Double zip around closure & removable wrist strap.Additional detachable removable cardholder. Small sized Hand-crafted from Napa Genuine Leather. 3 credit card slots provide ample room for all your important cards.The pouch has 1 transparent I.D. Card window Organize your Currency in 2 note compartments. 2 Chain Compartments for knick knacks. Secure Closure by a zipper. Dimensions when closed ( inches) : L 4" x B 7" x Depth 0.75".Depth 0.75"
Suitable for carrying jewellery,passport & knick knacks.Smartphones/phablets screen sizes upto 6" (Apple iPhone 6S Plus/Sony Xperia Z5 Ultra/Samsung Galaxy S6 Edge Plus) can easily fit in this pouch.